•In the latest whatsapp beta version, WhatsApp for Android brings updates to its camera. If you take a photo from the camera through the WhatsApp app, additional editing tools will now pop up after the photo is clicked. Which shows you a Pencil and 'T' button. The new pencil and the 'T' buttons on screen allow WhatsApp users to scribble, draw, and write on top of the photo in different colours using the colour picker. 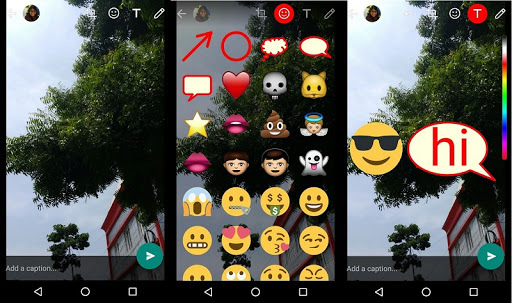 This feature was first introduced by Snapchat, and Instagram later also introduced it alongside another Snapchat-like feature called Instagram Stories. •The addition of a new front-facing flash in WhatsApp’s beta update enables a white flash-like effect on the screen when taking selfies for better low light photography. •WhatsApp’s messaging elements have also been updated. Users can now send or forward messages to multiple people in one go, whereas before messages could only be sent or forwarded to one person at a time. 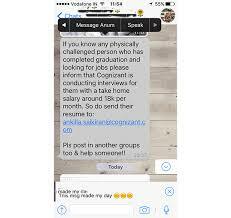 •A speak out message feature was also added. With this new "speak" feature, your WhatsApp messages will be read out aloud. This whatsapp speak option, appears with other options like Reply, Forward, Copy, Delete and Message. In order to try out WhatsApp’s new features, go to your Google Play Store’s app find the app ,scroll down and tap the ‘Become a Tester’ button. 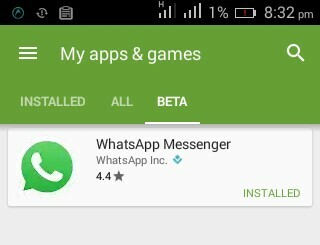 Then go to My apps and games and navigate to Beta page, there you will see the latest WhatsApp beta version update the app and get new features. WhatsApp isn't the only messaging service that is borrowing inspiration from Snapchat. For iPhone users, the newest iOS 10 update means that stickers can be placed on bubbles in the Messages app and be used to decorate photos.